Uptown Main Street is a community-driven organization that supports small and local businesses along 14th and Kennedy Streets NW. UMS helps make our unique corner of the city a thriving place to live, work and invest. Learn more about our free technical assistance sessions for small business owners. Uptown Main Street relies on the strength of our community to succeed. There are a number of ways for volunteers to support our organization and help make a difference. Dollar for dollar, Main Street is the most impactful revitalization program in the country. Your gift makes a difference. Uptown News - Stay Connected! We’re looking for our next dynamic leader - could it be you? The Uptown Farmers Market is Back! The Uptown Farmer’s Market is back and better than ever! Cheesemonster Studio Opens Next Week on Kennedy Street NW! New Uptown Main Street business, Cheesemonster Studio, will have its Grand Opening next Thursday, April 11th. We hope to see you there! Eight businesses on Uptown Main Street's corridor have been awarded funding through the Great Streets program. This represents a $400,000 capital investment for our business corridor! 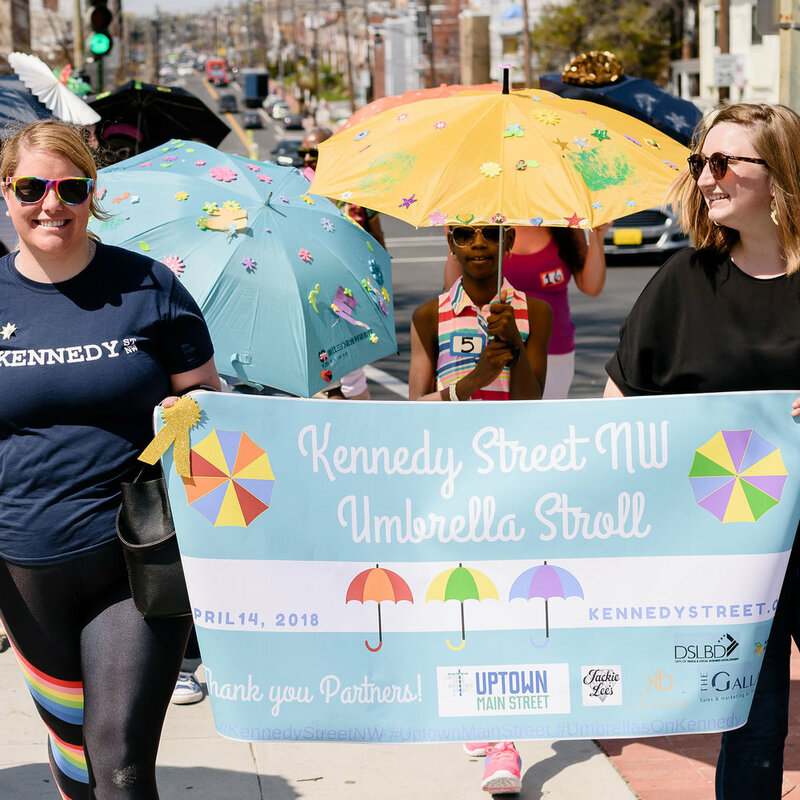 We are looking for ten local artists or community-based organizations (schools, civic associations, non-profits) to decorate umbrellas for a short-term public arts project in local businesses and vacant spaces. Lighthouse Yoga Center will open its doors at 502 Kennedy Street NW this Saturday. They are Washington DC’s only Kundalini Yoga studio and are a flagship studio for alignment-oriented Hatha Yoga. New Uptown Main Street business, Catherine’s Kitchen, is popping up at Johana’s Restaurant at 4728 14th St NW, Washington, DC 20011 for the next few months. Patrons are invited to taste their delicious cuisine at their temporary location! We’re delighted to announce that our Board is expanding to include three new community members. We invite you to learn more about each them! In our first installment of ‘Meet the Main Street’ we caught up with Charlie Whitaker, CEO of Career Path DC to learn why values local community development efforts.